Episode 6 of The Medieval Podcast – The medieval tale Le Jongleur de Notre Dame or Our Lady’s Tumbler had been forgotten for centuries, but then was rediscovered in the 19th century. It rapidly became a very popular story, recreated in books, plays and films. 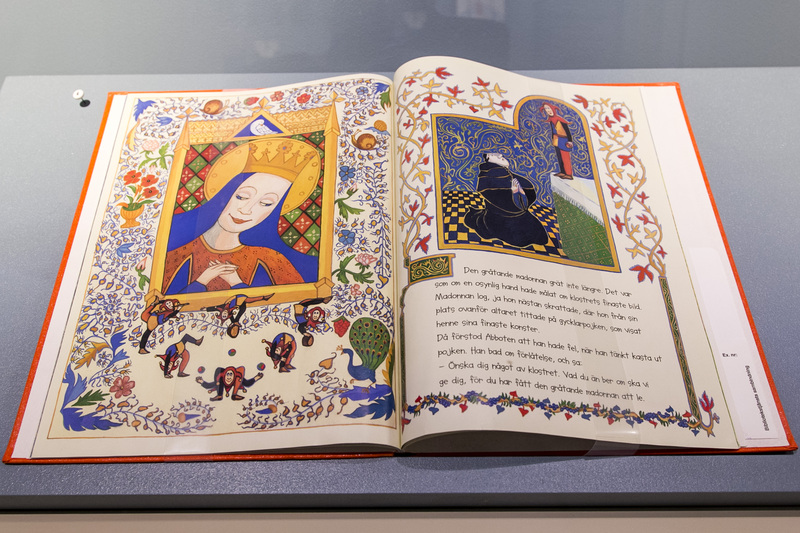 Dumbarton Oaks Museum in Washington D.C. has opened the “Juggling the Middle Ages” exhibition to look at the medieval tale and its modern reinterpretation. Danièle is joined by Jan Ziolkowski, Director of Dumbarton Oaks, to talk about the exhibit. The Juggling the Middle Ages exhibit runs until February 28, 2019. Click here to visit the exhibition website. Jan Ziolkowski is the Arthur Kingsley Porter Professor of Medieval Latin at Harvard University and Director of the Dumbarton Oaks Research Library and Collection. Click here to visit his university webpage. Top Image: Juggling the Middle Ages, Dumbarton Oaks Research Library and Collection, Washington, D.C. Photo by Courtney Randolph.